Courtesy of the fan who put together Jaz's fanpage on Myspace...http://www.myspace.com/jazcolemankj Jaz Coleman's career is one of the music industry's most diverse, oscillating between the white heat of Killing Joke and the world's symphony orchestras. Brought up in an academic family that revered Da Vinci, he studied piano and violin from the age of six before being admitted to sing for the Addington Palace Choir. By the age of ten, he had sung in many of the great cathedrals in England and achieved the most prestigious accolade for a chorister, the Saint Nicholas Award. Jaz Coleman's career is one of the music industry's most diverse, oscillating between the white heat of Killing Joke and the world's symphony orchestras. Brought up in an academic family that revered Da Vinci, he studied piano and violin from the age of six before being admitted to sing for the Addington Palace Choir. By the age of ten, he had sung in many of the great cathedrals in England and achieved the most prestigious accolade for a chorister, the Saint Nicholas Award. By fourteen his prizes included the Gold Medal at the Bath International Festival, Distinction for violin and the Rex Watson Cup at the Cheltenham International Festival of Music. In 1979, aged 17, Jaz founded the legendary post-punk experimental group Killing Joke, whose world tours and many recordings have influenced two generations of contemporaries such as Nirvana, Soundgarden, Pearl Jam, Tool, Faith No More, Nine Inch Nails, Ministry, and Metallica, to name but a few. Throughout 2003 Jaz promoted the eponymously titled 'Killing Joke', the band's eleventh recording, considered to be, by all accounts, their best work to date. All original members joined forces with Nirvana drummer and Foo Fighter frontman Dave Grohl, for an explosive masterpiece that has consistently gained five star reviews worldwide. Jaz Coleman studied in Leipzig DDR in 1987 and Cairo Conservatoire in 1979 where he made an extensive study of Arabic quartertones, culminating in the recording ?Songs From the Victorious City' co-composed with Anne Dudley using the master players of Cairo. Coleman was the first western student to study oriental music at an Arabic conservatoire. In late 1989 he had the score of his Symphony No.1 ?Idavoll' reviewed by the late East German conductor Klaus Tennstedt, who endorsed it referring to Coleman as ?our new Mahler'. After extensive study in composition, in 1992 Jaz took up citizenship of New Zealand to become resident composer of the Auckland Philharmonia. After Coleman's work came to the attention of minimalist composer Philip Glass, Jaz's recording career accelerated at an astounding rate with the New Zealand Symphony Orchestra, London Symphony Orchestra, London Philharmonic Orchestra, the Orchestra of the Royal Opera House, Convent Garden, Auckland Philharmonia, Czech Philharmonic, Prague Symphony Orchestra, Collegium, Prague Chamber Orchestra and the New Zealand String Quartet, having achieved 15 classical recordings in ten years, topping the American crossover charts with three top fives and two No.1s, one of which stayed at No. 1 for an unbelievable 103 weeks. Whilst respecting the traditions of both the symphony and the orchestra, Coleman has recorded outstanding symphonic renditions of rock music in the neo-classical tradition. This culminated in an endorsement by the surviving members of the Doors to arrange their music as a violin concerto to commemorate those who fell in the Vietnam War. 'The Doors Concerto' was recorded with Nigel Kennedy for Universal Music. In the year 2001, Jaz Coleman was commissioned by the Royal Opera House in Covent Garden London for his first large scale opera entitled ?The Marriage at Cana', which in essence is the gnostic theme of Jesus Christ and the Mary Magdalene, and her subsequent exile to Provence (predating Dan Brown's 'The Da Vinci Code'). The libretto was composed by world renowned genealogist Sir Laurence Gardner, author of the controversial bestseller, ?Bloodline of the Holy Grail'. The nine acts of the opera were painted by the celebrated oil-on-canvas artist Andrew Jones, whose work was exhibited at the premiere of the opera on December 9th, 2001 at the Royal Opera House. The opera received great critical acclaim and is to be recorded with Sarah Brightman. Also commissioned by the Royal Opera House was Coleman's ?Unwanted', a Concerto Grosso for Violin, Viola and String Orchestra which portrays the plight of the Romany people of Central Europe. This work was in collaboration with Czech Photographer Jana T, whose portraits of Roma, photographed within her own country moved the composer with its deep compassion and humanity. Separate to his recording career are many commissions. On March 22 2003, Coleman was commissioned to write and perform a major work by both Princeton and Columbia Universities in the USA to coincide with a lecture about quantum physics, superconductivity and its implications for anti-gravity research. The commission was entitled ?Music of the Quantum' and was inspired by the potential marriage between art, mysticism, and science; the event was entitled Coleman2, as Jaz Coleman's brother, Professor Piers Coleman is a pioneering physicist in the field of superconductivity. The event was performed at Columbia University, with a spectacular response. It was repeated the following year at Bethlehem Chapel in Prague. Also on March 22, Sir Laurence Gardner's new book ?Secrets of the Lost Ark', which expounds on anti-gravity and pre-history, was released. Jaz Coleman and Sir Laurence publicly exchanged their work (book and scores) at the Occulture Lectures in Brighton, July 20 2003. This is just another example of Coleman's enduring belief in renaissance, collaboration, and working in parallels. Jaz has extensive experience with movie soundtracks: Walt Disney's 'Mulan' with Vanessa Mae, 'Weird Science', 'Cinderella', and 'Showgirls', to name but a few. However Coleman's passion for the world of movie soundtracks is firmly rooted in the Eastern European film tradition. In 2001 film director Petr Zelenka completed his new classic 'The Year of the Devil', in which Coleman not only played the lead part of the Devil but also conducted and composed the soundtrack, which has reached fifteen-times platinum status. The film has become a multiple award-winning cult classic (Crystal Globe, Czech Lion). The theme of 'The Year of the Devil' is the surreal but true story of Jaz's involvement in the Czech folk scene. Jaz has written and arranged for a diverse range of international recording artists. His dramatic arrangement of the Rolling Stones' ?Angie' recorded with Mick Jagger and the LSO was recently used as the theme to Keith Richards' daughter's wedding. Sarah Brightman, Natasha Atlas, Clannad, and Nigel Kennedy are but a few of the artists in his extensive repertoire. Writing for the violin remains a passion for Jaz, who has completed numerous violin concertos for each of his favorite virtuosos: Aboud Abdel Al, the master Arabic violinist from Beirut; Vasko Vassiliev, leader of the Royal Opera House; Matousek, the Czech Republic's master virtuoso; the rising star Pavel Sporcl; and Karel Holas, Eastern Europe's most famous folk violinist. Jaz Coleman's passion for the Maori music of New Zealand culminated in a 1998 commission for the music of both the Rugby World Cup and the prestigious America's Cup. At the opening of the Rugby World Cup in 1999, Coleman replaced the English version of the New Zealand National Anthem with Maori. This was sung by the famous soprano and Maori activist Hinewehi Mohi, resulting in great controversy. A six-month debate followed in the New Zealand Parliament until a resolution to the situation was achieved, thus the laws were changed and Coleman was dubbed a subversive on the American news program 'Sixty Minutes'. Maori music in its modern form did not exist until Coleman's 10 years of study and recording with Maori artists resulted in the first international release of contemporary Maori music with great success. ('Oceania', 700,000 sales, Universal Records). In April 2002, Coleman received an outstanding three Grammies and quadruple platinum sales for his concerto for Czech folk group and orchestra entitled ?Promeny'. 2003 saw Promeny being performed in 8,000-10,000 seat auditoriums throughout the Czech Republic and Slovakia. Coleman has recently completed a second masterpiece with Nigel Kennedy and the Kroke Trio in the role of friend and producer (?East Meets East' on EMI Classics). In 2004 and 2005 Jaz arranged the Sarah Brightman album 'Harem' and wrote a further 12 Arias to be recorded with her. He also continues with his work as composer in residence of the Prague Symphony Orchestra. In early 2006 Joseph McManners performed Jaz's 'Daughter of England' at the Royal Albert Hall with the Royal Philharmonic to standing ovation. He also toured with Killing Joke in the early part of the year and won a Lifetime Achievement Award from 'Kerrang!' magazine. International premieres of Jaz's classical works are too numerous to mention. Jaz is currently in talks with Nigel Kennedy to record his 'War Concerto' and is recording a cello concerto based on the lost landscape of England for Julian Lloyd Webber and the LSO. In 2007 he is also recording the love songs of Om Khalsoum in the Czech Republic and Egypt with the Czech Philharmonic and his favourite virtuosos from Cairo. 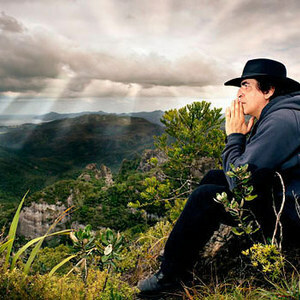 Jaz has also designed a temple which he intends to build in New Zealand, the second architectural pursuit in his life. With over 50 diverse recordings to his name, the man is living music history.